Am I isolated at home? Am I having trouble with maintenance and yard work? Is it time for a change in my life? If you have asked yourself any of these questions it might be time to consider independent living. Not all communities are designed with the same intention in mind. There are active 55+ communities, continuum of care retirement communities, apartment-style facilities, cottage style living, mobile homes, and the list goes on... What's important is to find a community that fits YOUR lifestyle.  Below is a list of independent retirement communities in Memphis, Tennessee and South Mississippi. The Parkview is the ideal destination for individuals looking to enjoy a hospitality-rich lifestyle full of convenience in a dynamic social community. Access an array of amenities and programs tailored to suit your lifestyle, while living in your maintenance-free, luxurious apartment. Impromptu social gatherings, planned events, and gourmet dining are all available from your doorstep. Offering Independent Living, The Parkview is the perfect place to pursue your passions and engage in a vibrant lifestyle. The Skilled Nursing Center of this full-service CCRC offers therapy provided by a team of qualified physical, occupational and speech therapists who assist residents with regaining mobility, increasing their range of motion and relearning basic daily living skills interrupted by stroke, accidents, surgery, or other conditions. More than 80% of the short-term rehab residents return to their previous home setting. Inspired by Southern Colonial architecture, Kennington Pointe features a three-story atrium that highlights the gracious essence of southern living. Our all-inclusive resort-style communities offer adults 55 and over an elegant, comfortable, and safe place to call home. Designed to complement your lifestyle, our luxurious accommodations, unmatched amenities, flexible dining options, and leisure activities set the tone for the retirement of your dreams. A resort-style community especially designed for active independent living for those 55 and older. Lutheran Village gives you the opportunity to OWN or RENT your home. The 20,000 square foot tropical atrium gives you a sense of serenity with the year round beauty of lush foliage, palm trees and bubbling fountain. Springhouse Village of Collierville offers a continuum of care for our residents, so they can age in place. We offer ground level assisted living apartments, memory care suites, and independent living cottages. Private patios, large walk-in closets, full kitchens, and kitchennettes with granite counter tops, large rooms and spacious floor plans are available. Heritage at Irene Woods is a full-service senior living community offering maintenance-free living and a wide range of personal assistance and health care services tailored to individual needs.